Biography: Pastor Greg Hovland is a native of the Minnesota/Wisconsin area. He was born in Ashland, Wisconsin on December 29, 1970 and spent his childhood in Duluth, Minnesota; Kasson, Minnesota; and Onalaska, Wisconsin. After graduating from Onalaska High School in 1989, he attended Concordia University Mequon, Wisconsin. He graduated in May 1993 with a Bachelor of Arts in theological languages with a minor in theology. Greg went directly to Concordia Seminary, St Louis and spent his vicarage year (internship) at St Paul’s Lutheran Church, Niles, Michigan. Graduating a semester early, he holds a Master of Divinity. 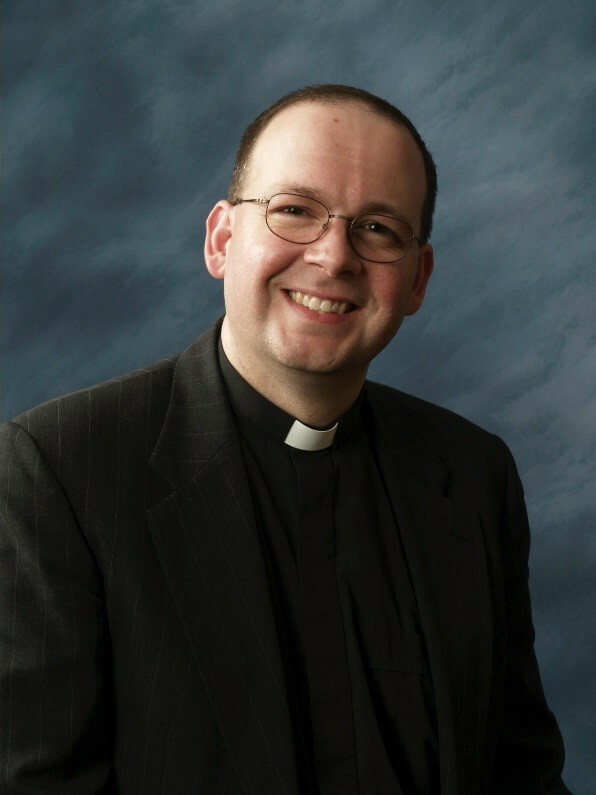 On April 6, 1997 Greg was ordained and installed as pastor of St Paul’s Lutheran Church in Amboy, Minnesota and St Peter’s Lutheran Church, Vernon Center, Minnesota. On March 10, 2002 he was installed as the pastor of Messiah Lutheran Church in La Crescent, Minnesota. Greg was installed as Associate Pastor of Our Saviour Lutheran Church in Green Bay, Wisconsin on January 25, 2009. He was installed at Senior Pastor of Saint John’s Lutheran Ministries on August 16, 2015. Greg and his wife, Stephenie, met in high school while attending a circuit youth group event. During their high school years, they became friends as they spent time working together in Ongoing Ambassadors for Christ – a youth witnessing organization of The Lutheran Church Missouri Synod (LCMS). In college they began dating and were married on June 6, 1992. Greg and Stephenie have two daughters: Elisebeth and Katherine. Greg has served as Circuit Counselor for the Mankato Circuit (Minnesota South) and the Winona Circuit (Minnesota South) Voting Delegate for the LCMS synodical convention in Houston, Texas (2007). He has completed Mission Planters Institute and Pastoral Leadership Institute training. While serving in La Crescent, Greg served as administrator of Hope Lutheran High School (Winona, MN), a newly started high school at the time. While in Green Bay, he served on the Green Bay Lutheran School Association Board of Directors that oversees Green Bay Trinity Lutheran School. Greg has served on two fire departments during his ministry as a way to be involved in the community: Vernon Center Volunteer Fire Department and La Crescent Fire Department. While serving on the two departments he held a variety of positions: firefighter, first responder, training officer, assistant chief, chief, and chaplain. He has been involved in multiple large-scale incidents including regional floods that effected South East Minnesota and multiple search and rescue operations on the Mississippi River. He also received the Valor Award in 2004 for his involvement in a house fire that claimed the lives of two children. He holds training in Pastoral Crisis Intervention, Individual and Group Crisis Intervention. Greg enjoys fishing and camping. He attempts to golf from time to time. He is a licensed amateur radio operator and is active in local storm spotting. His amateur radio call sign is W9IKU. Stephenie has a Bachelor of Art in Lutheran Education with a minor in music. She is actively working on her writing career, having published a number of items including curriculum, devotionals, and books. Stephenie serves on the national board of directors for Lutherans for Life. She teaches part-time at St. John's Lutheran School. Greg and Stephenie have two daughters. Elisebeth teaches at Trinity First Lutheran School in the Twin Cities of Minnesota. Katherine is attending Concordia University Wisconsin. Lutheran Education is held in high esteem by the family.